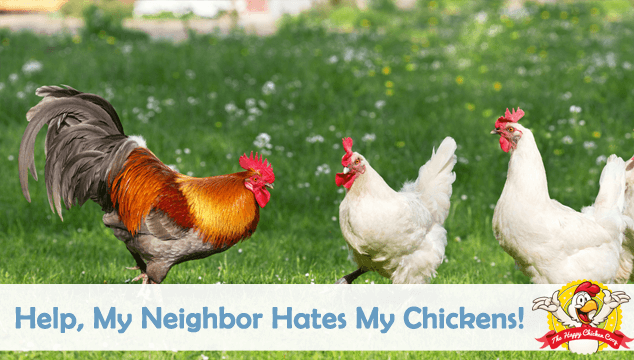 Help, My Neighbor Hates My Chickens! You are here: Home / Guides / Help, My Neighbor Hates My Chickens! In an ideal world, everyone would love chickens but the truth is some people hate chickens. They look upon the living creature as ‘noisy nuggets’, so what happens when your neighbor hates your chickens and starts causing a commotion? This is certainly an unpleasant situation but normally one which can be amicably resolved. Today, we are going to take a look at some strategies that might defuse the neighbor and avoid all sorts of unpleasantness in the backyard. When your neighbor first complains about your birds, listen to the complaint carefully. Is it the noise, smell or rodents? If there is no specific complaint, ask what they would like you to do. If the response is ‘get rid of the birds’, politely but firmly assure them that this is not going to happen and again try to get them to state why they object to your birds. If you have such a neighbor, you first need to know your legal footing. Are you allowed to have chickens on the property, if so how many, are roosters allowed, is there a ‘set back’ distance? Note: the set back is the distance any out building must be from a fence or boundary line. If the zoning laws are ambiguous, contact your local Zoning Officer and meet with them. Explain your problem and ask for suggestions to resolve the problem. This indicates to the town/village board that you are a reasonable person who is trying to address the issue. Most zoning laws don’t allow roosters for a very good reason- NOISE! If I were a night shift worker living next door to a rooster who loves to crow, I would not be happy. So if you have a rooster, think long and hard about removing him or try a ‘no crow’ collar. If your neighbors are complaining about the smell, perhaps you need to clean the coop and pens a bit more frequently. Chickens certainly do have an odor. Although you and I might not find it offensive, some people might. Try to keep the smell down with frequent cleaning– this is especially important during the hotter summer months. You should apply PDZ or some other type of absorbent material to keep the ammonia levels low, change the bedding frequently and dispose of the soiled material. When you dispose of the bedding, don’t just throw it in the compost heap- it will attract flies, lots of them. Try to put a covering of dirt, grass clippings or similar over the top of the heap to damp down the smell and keep the flies and rodents away. Turn the heap frequently to deter anything from nesting in there. Where there is a free meal, you will have some sort of rodent in residence. Usually it’s chipmunks, but if there is an abundance of food you will certainly attract mice and rats. Keep your feed stored in rodent proof bins- metal is good, plastic is ok if you check it frequently. They will chew a hole through plastic in no time at all, so keep your plastic feed containers in a secure area. If you do have a problem with rats, you will need to address it quickly. Rats carry all sorts of diseases; they will steal eggs, eat an enormous amount of feed and if really hungry will eat chicks. If you choose to use poison, do so cautiously. The poison is not rodent specific, and it will affect whatever eats it. I have found the best way is to drop a bait block down the hole, then fill the hole with pebbles or small rocks. This way the bait is safely underground and the rats will nibble away at it. As always you should keep a record of all that you do to prove you have addressed the problem. The real truth is that the vermin were probably in the neighborhood already and simply moved to a better feeding ground- the chicken coop! I love the sound of a rooster crowing in the morning and the girls performing the ‘egg song’- but not everyone does. 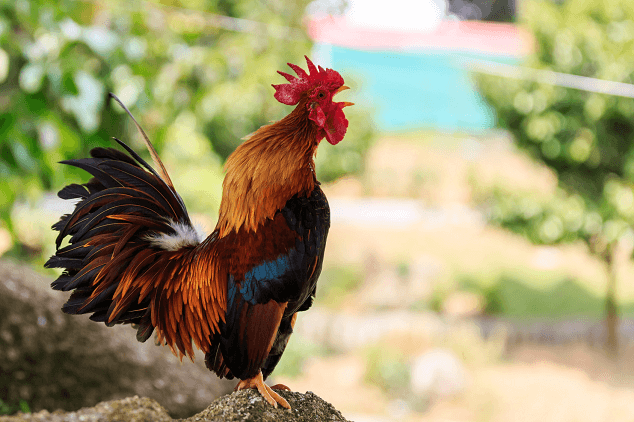 If it’s legal for you to keep a rooster, there are a couple of things you can do. Just how noisy is your rooster? Some roosters are much noisier and more insistent than others. So, how can you reduce the noise level? If you keep a rooster, you can try him with a no crow collar. It works in a similar way to a no bark collar for a dog. If you don’t want to try the collar another suggestion is to put him in a dark crate overnight and let him out at a reasonable hour. The rooster may not crow until he sees the light of day, it works for some but not for others. You could also try to get an idea of how much of a nuisance he is by checking with your other neighbors. If you get a response of “he doesn’t really bother me”, then all well and good. But if you get “well, he is noisy but I didn’t want to complain”, then maybe it’s time to quieten him down. Many people fear that having chickens will attract predators. Newsflash: they are already in your backyard! 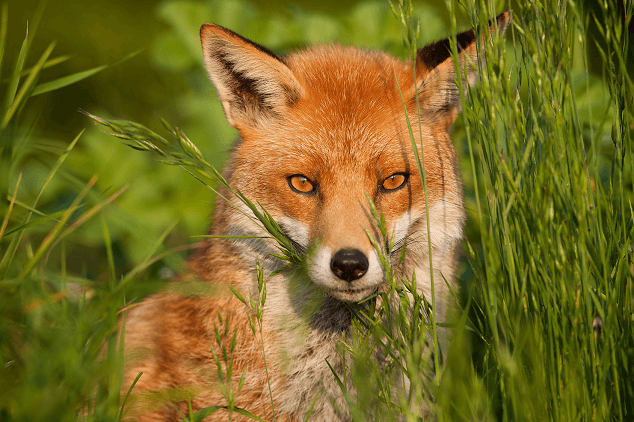 Creatures such as foxes, raccoons, coyotes and possums enjoy urban living. The food sources are innumerable: garbage, squirrels, chipmunks, cats, small dogs and rodents. These creatures are elusive, but not shy in searching out food. In fact when we lived in the village we had two raccoons that would come into the house through the cat door to eat the cat food! This soon stopped once we realized what was happening. As responsible chicken keepers we should do everything we can to protect our flock from attack, so the predators will move on to easier pickings. Last year the Avian Influenza had everyone in a tizzy. People were calling for flocks in urban settings to be slaughtered because they ‘might’ pass on disease. Now that the panic has subsided, the truth of the matter is very few backyard flocks got sick. Those that did were shown to be contaminated by wild birds or water fowl; or chickens brought in from an already infected flock. 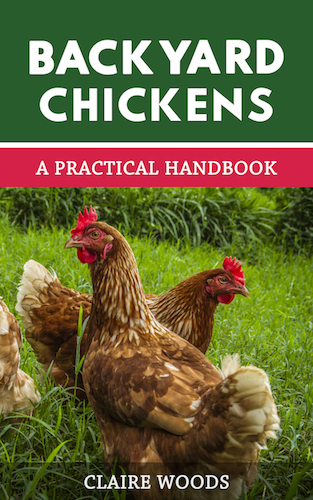 This is a time to educate your neighbor about a couple of chicken diseases. 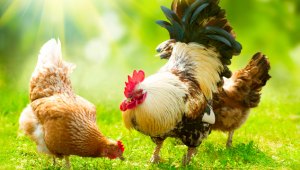 Chickens can be carriers of salmonella, listeria and campylobacter but you get salmonella, listeria or campylobacter from improperly stored/cooked food. 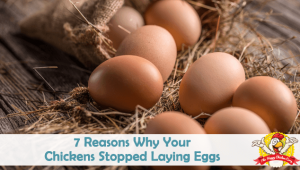 So, the simple act of keeping chickens is not going to cause an epidemic of anything but fresh eggs in your neighborhood. Perhaps your neighbor is concerned about selling their house and the impact a flock of chickens will have on the property’s value. There isn’t much factual evidence either way, but anecdotal evidence suggests that many people buying a house with chickens for neighbors actually enjoy the experience. Some say that it enhances the value of a property, giving it a more country feel. Moving on to appearances, is your coop a palace or a pig sty? If it’s the latter, perhaps you could improve the appearance of it. A new coat of paint, clean out the run, do some repairs- you get the idea. 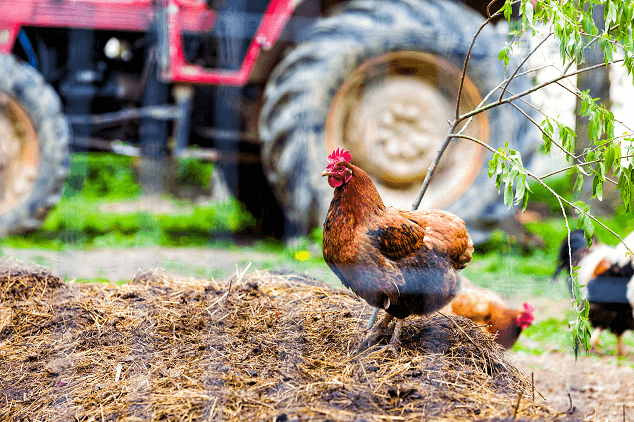 A clean, well-kept coop and run are far more attractive than a dirty run down hovel. If after a good clean your neighbor still isn’t impressed is it possible you can move or ‘disguise’ the coop? Is it possible to move the coop further away from your neighbor? If you have something like a chicken tractor this should be easy enough. But if your coop is fixed that may not be possible, although a small coop should not be impossible to move. If you can’t move it, can you deflect or muffle the noise in some way? The old saying that ‘good fences make good neighbors’ has a lot of truth to it, even a couple of fencing panels placed strategically so the noise is muted and deflected from the neighbors’ yard. In terms of disguises, an idea for a more long term and environmentally sound idea is to plant a hedgerow of fast growing trees or shrubs. It will depend on how much space you have of course, but trees such as Lombardy poplars or arborvitae grow quickly. If you have a small yard and don’t want the light blocked by trees, consider shrubs that grow to around three or four feet tall. You can plant these either as a windbreak line, or place them around the coop and run. They will provide shade and cover for your hens if you free range them. You have done everything you can, the neighbor is still unhappy, but legally can’t do anything. If this has dragged on for some time, I might be worried about the neighbor employing ‘other’ tactics. If you feel that the neighbor in question might try to harm your birds, try some of these ideas to deter any malicious acts. Another security measure is a solar powered motion detector light. The sudden light will deter predators too. Another idea I came across was an alarm for the coop door. You could easily set it after locking up the coop and disarm it in the morning. In general, most neighbors can get along very well and if you can go at least halfway to dealing with the neighbors’ concerns usually the complainer will give a little. We hope you never have to deal with neighbors like this, but if it happens at least you now have a guide to help you. One thing I urge you to do is keep a record of everything you do and your neighbors’ response dates, times etc. – it may come in useful if things get really unpleasant. Finally, you can always resort to bribery: few can resist fresh eggs as a gift! Have you had to deal with a neighbor like this? If so, please let us know how you dealt with it, we’d love to hear from you. Thank you so much for all your very useful information it has actually made me RE look the ideas of chickens and where to place them! When I got my girls I did not know they made such a loud noise when laying. No problems with the neighbors but I make sure I share some eggs with them at leave monthly. We have 6 beauties but we cannot eat 42 eggs a week? They are so much fun. Thanks for all the good info you provide. Thanks for sharing this Sue! Unfortunately I had to choose between a $500 ticket or dispose of my fowl! There was no standing ban on roosters or any fowl but there was a noise oridinace in place!! It is really sad what some people will do and what lengths they will go to and things they will do to get their way! To bad there isn’t a idiot ordinance in place!! I have two pet roosters that are about 8 months old. But since I am living in an apartment complex, my neighbours have started complaining about the noise they cause. I really don’t want to get rid of them, because they have been my pets since they were 1-2 days old. And I really don’t know how to tackle the situation. Apartments have many people living close together. You may be better off in a single family house with some land so roosters can free range. First check town codes to see if they’re allowed. Depending on housing inventory, it might even be cheaper than where you’re living now. Hi Chicken People! I’m that neighbor! My neighbor got chickens and put them right up against my fence. My back yard now stinks to high heaven. Wind always blows my direction so I now get the intense reek of chicken poop in addition to their cigarette smoke. As chicken lovers, how do you folks suggest I approach the situation? Would love to give it a shot amicably first. They are not bad people, just magnificently odiferous. Moving unfortunately is not an option at this point so scratch that idea. Thank you for your help and have a lovely [insert general time of day here]. Hi, I’m a bit late on this but I hope it’s helpful. Most fellow chicken owners I’ve met love talking about their girls! Opening up a conversation about them shouldn’t be a problem. Generally we want to be good neighbors and don’t want our chickens to cause problems so they’ll probably be open to what you have to say. If you’re worried that they’ll be upset, just ask a few friendly questions (what breeds are they, etc.) before bringing up any issues. As long as you aren’t hostile about it suggesting that the coop might need to be cleaned more frequently or even requesting that they move it (if that’s possible) shouldn’t be a problem. I hope this helps. I would kindly in a non attacking way ask them to be a little more tidy. We have 14 hens and currently 2 roosters with little to no smell once you are not in the coop. We have 6 laying hens in our backyard. They have a coop and are free range. We noticed a significant drop in eggs recently, and found out that the neighbor’s grandson has been entering our coop and stealing our eggs. We’ve spoken to them several times about it to no avail. Is there any way to keep neighbors out of the coop? We need to keep the door open so they can enter to lay.